The May Day (in Finnish: Vappu) is a big national holiday to celebrate work in Finland. On the Eve of May Day especially young people and students are out partying. On May Day, people flock to the streets, enjoy brunch in a restaurant or if, by some miracle, there is a decent weather, picnic at a park. May Day is infamous for weather. It is usually cold and rainy. 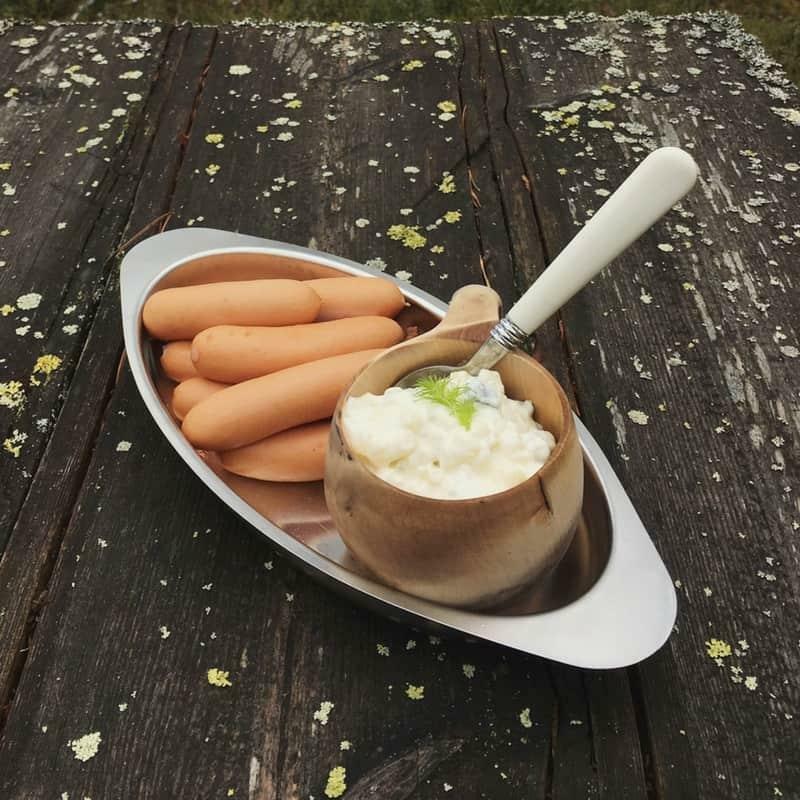 The menu is straightforward; we buy potato salad and frankfurters. 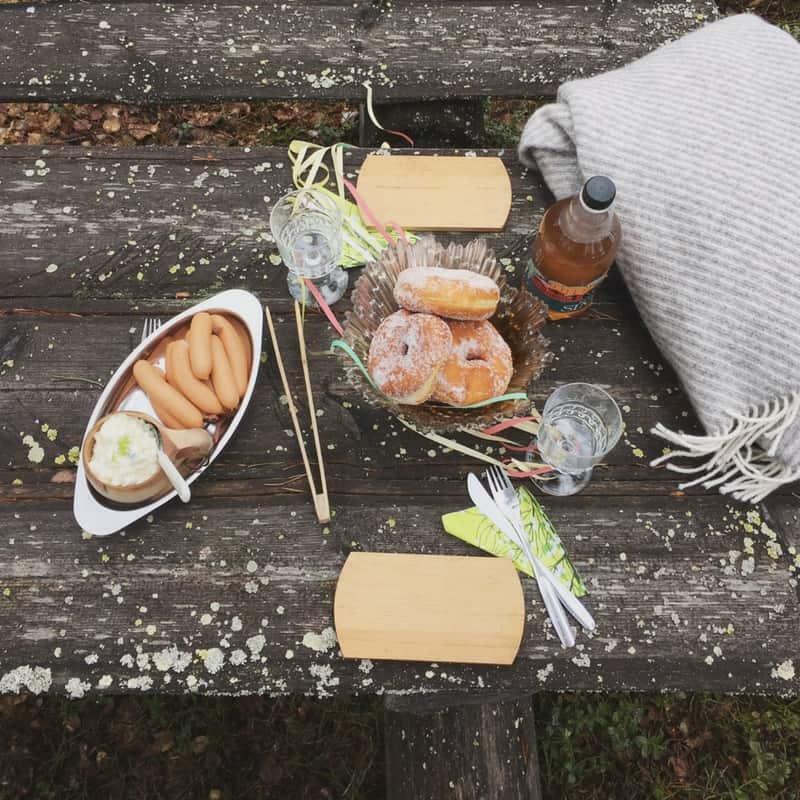 The dessert is always donuts or tippaleipä (a special treat only eaten on May Day festivities) and mead. Many make their own pastries and mead at home but you can buy them in a grocery store too. Decoration includes colorful serpentine and balloons. As an engineering master, I just have to tell you a Finnish student fun fact which relates to May Day. For students in Finnish technical universities, Vappu is extremely important. 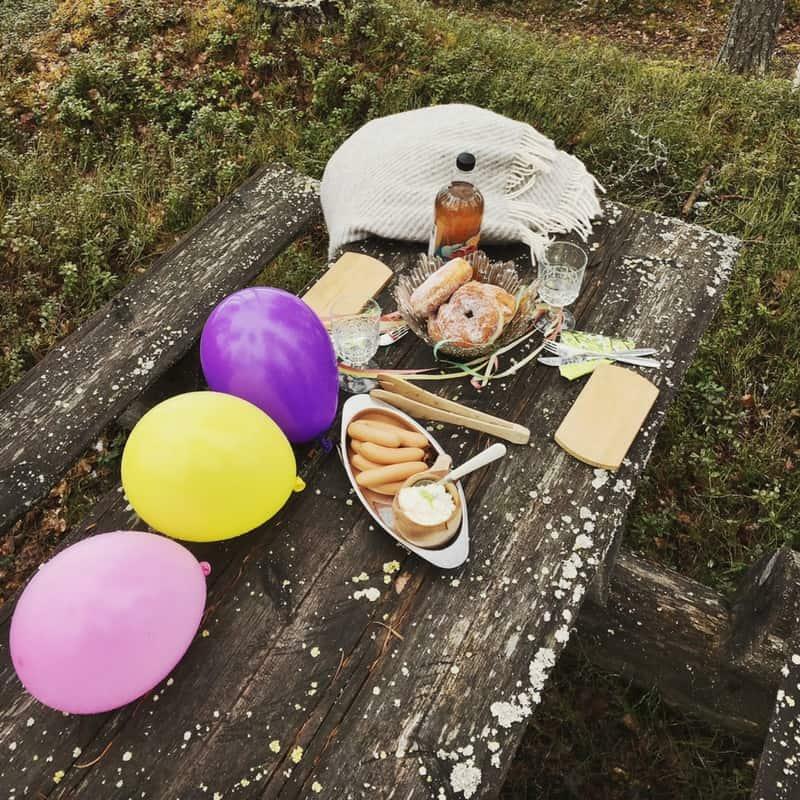 Contrary to the normal calendar, their Vappu is a two-week party. So the student May Day celebrations start in the middle of April and culminate on May Day! There’s an official Vappu magazine sold on the streets of big technical university cities, such as Helsinki and Tampere. The sellers wear colorful overalls and black & white hat so it’s easy to spot them if you are in town. May Day is a relaxed holiday that is flexible to your age and mood – you can enjoy it however you like it!